Paul J. Bunnell, FACG, U.E. For over 25 years, Paul has devoted himself to genealogy and Loyalist studies. Self educated, he later took credited classes from Brigham Young University, Provo, Utah, greatly improving his skills and knowledge in the field. Accomplishments are wide; awarded the Accreditation and Fellowship at the American College of Genealogists of Illinois, and certified and registered lineage member of The United Empire Loyalist Association of Canada, and The Hereditary Order of Descendants of The Loyalist and Patriots of The American Revolution. He has held past and present memberships in over 60 genealogical and writing organizations around the world, including life long memberships and chairman positions. He is also certified with the International Ghost Hunters Society in Paranormal Investigation, and also as Ghost Hunter. He is also a registered BYU blood donor on their genealogical DNA study. Membership with The Metis of New England; and Corporation of Metis du Quebec, President of the Violette Family Association; And a registered card member of the Sou' Nova Metis Band of Nova Scotia, Canada. His speaking engagements have been in New Jersey, New York, Massachusetts, New Hampshire, Maine, Connecticut and New Brunswick, including TV interviews on Cape Cod, Mass. and Saint John, New Brunswick stations. In 1989, His Royal Highness, The Prince Philip of Wales (England), Duke of Edinburgh, accepted his book, Thunder Over New England, Benjamin Bonnell, The Loyalist, at Buckingham Palace. He was also presented with the famous Loyalist Pin from the past Mayor, Elsie Wayne of Saint John, New Brunswick, Canada (The Loyalist City). 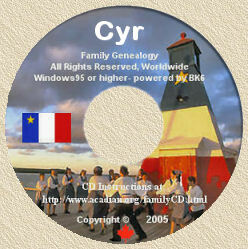 Paul has also produced several Internet articles on genealogy, including Black Loyalist, and Bonnell/Bunnell Loyalists. And lets not forget the Loyalist Ghost of Benjamin Bonnell. Publications are many; Thunder Over New England; The New Loyalist Indexs 1,2,3; American Migrations & Documents Guide; The House of Robinson of Rhode Island & Baltimore, Maryland; Life of a Haunted House, The Barnstable House; Cemetery Inscriptions of The Town of Barnstable, Mass; Acadian & Cajun Cooking & Home remedies; Research Guide to Loyalist Ancestors; Tumbleweed, The Nellie Markham Letters; Evacuee Loyalists of Boston, Mass. March 1776; and Loyalists of Exeter, New Hampshire and Area; many others in progress. Paul enjoys traveling around lecturing or selling books at his Vendor table at conventions. He also does Loyalist research for others out of his very large home library. Latest book (At the publisher now) is: French & North American Indian Marriages 1600-1800. Now Paul has produced the only Loyalist Newsletter in the USA; "The Loyalist Quarterly." In March of 2005, Paul successfully assisted in helping solve a Loyalist search problem for the popular TV program, History Detectives, produced by Lion Television in New York. The Loyalist family finally settled in Ontario. This very active genealogist has started a new program starting in 4 March 2006. The States Genealogical & Historical Vendor & Attendee Conference series started at Nashua, New Hampshire. Any future events will be announced. Contact Paul for details and your participation as a vendor or attendee. Yvon's Closing Note: Want to see if you have some 'Native' Ancestry? Paul has just released  volume 2 of his popular "French & Native North American Marriages & Other Sources" Book. Details available at his web site. Editors Comments; The Hereditary Order of the Descendants of the Loyalists and Patriots; Queries; Loyalists Help Haiti; Thank You; Article on Black Loyalists; Worth A Look! ; Historic Sites in New York to Close or Have Reduced Hours; Royall House and Slave Quarters Receives Major Grant for Interpretation; Toronto Public Library Updates "Ontario History Quest" Including More Loyalist Content, Office of African Nova Scotian Affairs (ANSA); Washington wrote of ambitious plan to conquer Canada; Happy 225th Anniversary Saint John, Canadas First Incorporated City-The Loyalist City; Prominent Loyalists; Military Action in Woodbridge New Jersey; Loyalist Women in Colonial New Brunswick; Underhill Loyalist History & Genealogy; Black Brigades-Book of Negroes; Loyalist Refugees from New York, in 1783; Black Loyalists Go To Canada; A Great New Brunswick History Book. Koasek Traditional Band of the Sovereign Abenaki Nation. Our newsletter is printed four times a year; January, April, July, September. Membership fees are $20 (US) per year. We also accept Canadian membership at $23 (Canadian) for higher postage. (International Membership $24 US). A real good buy. We accept PayPal (U.S Only), and Check, and Money Orders (U.S. & Canadian). Back issues available for $5 (US) or $7 (Can). Please include S/H of $4 (US) or $4.50 (Can) on those single orders. Besides the benefit of a great journal, with membership, you will be eligible for a 10% discount on all our publications, research, and other items we sell on our website. You must request this service to alert me. There are Loyalist indexes, histories, how-too help guides, research, and many other areas including French & Indian publications offered. The Quarterly will have Loyalist articles, genealogies, research ideas and problems solving. Historical notes, currant events as conferences and conventions. Listings of other organizations interested in Loyalist studies, re-enactment events, and shared information. Queries, haunting stories, book reviews, and little known tidbits on historical figures from the Rebellion. The purpose of this newsletter is to help others in their search to establish the proper documentation on their Loyalists, and to educate all on the lives and events of why our ancestors made those difficult choices before, during and after the American Revolution. The author of the excellent publication "The History of the Cajuns", my good friend Alex Loya, was deployed to Iraq and in his absence, I have been asked to act as official distributor of his book. The cost of this exhaustive 678 pages book, is $34.95 (USA funds) plus shipping-handling [details]. Merely connect to my secure server to place your Online Order using Visa or Master Card. Yvon Cyr. Click here for more details; Click here to order via Postal Mail; Click here to order online using Visa or Master Card.